Tis the season to send greetings, but with the price of postage and the hand cramping from addressing envelopes and leaving personal messages I am often left almost dreading sending Christmas cards. This year we are doing things a little different especially for clients that we have worked with throughout the year. I love thanking them and making sure that they know we appreciate the ones who make this blog possible. With Paperless Post you buy coins to send greetings by email. Pretty cool concept in my eyes. The coins are so reasonable in price too starting at just $5 for a package. The options are literally endless with Paperless post and I can’t believe how easy it was to create a card that only cost 5 coins. I am able to send to multiple people using the same design too which is perfect. Look at this sample card! I absolutely love it! Another perk of Paperless Post is that they have an address book option where my receivers will be saved for other times when I want to do this again. 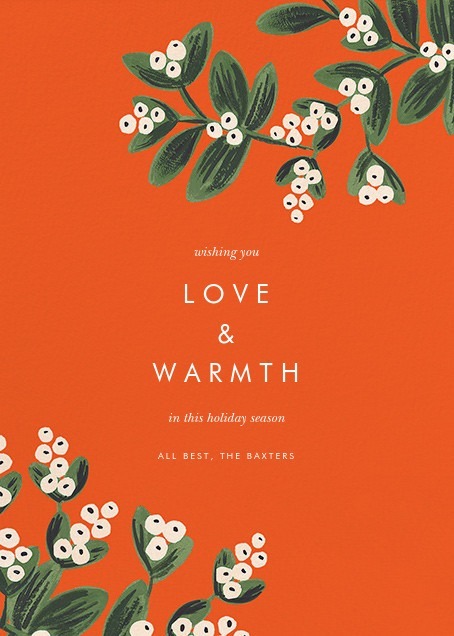 I am thinking about several times per year just sending some cards and this is perfect! They have import options for webmail as well which is a great service. 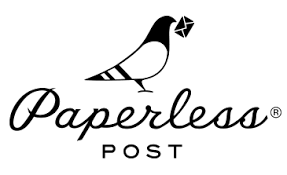 If you are looking to get away from the hand cramps, the writers block, the postage and lets face it the wasted paper… consider using Paperless Post for this holiday and any other. This has been a real eye opener for me considering I can even use a special stamp on the cards and feel like I am still being personal while not using the USPS at an already crazy time of year for them. What are you waiting for? Head over to Paperless Post and get some coins so you can start sending out beautiful greetings today.